Get More Moving Leads, Not More Hassle. MovingPros is the easiest way to generate high converting moving leads! We only partner with the best moving companies. As a verified partner you get access to 3000+ high converting moving requests every month. Find out how MovingPros can grow your moving business - fast! Become a verified partner and set up your account. Choose the exact customers and moves you want. Receive moving requests straight to your inbox or moving software from customers in your service area(s). Quote the leads and book more profitable moving jobs. Our leads convert at 2x the industry average. We're all for trusted moving companies and quality moving requests. We vet all moving companies that apply and only partner with the best movers (less than 30% qualify). Strictly no cowboys allowed! You only pay for verified leads from customers moving house, not for expensive clicks or impressions that don't convert. Promote your business with your free company page. Get verified customers reviews and build your trust and reputation. Set your preferences so you only receive moving requests that matter to you. Get more of the right customers and make more profit. Why Our Moving Leads Are The Best? MovingPros is most profitable way for your moving company to generate leads. Only receive the leads you actually want. Specify pickup and delivery areas, as well as the types of moves you service. Customers enter the details of their move and the data is verified to ensure you get high value leads with real contact details. Leads are sent straight to your inbox or moving software in real-time. You can respond to customers faster and convert more leads. Set limits on how many leads you want per week. You’re in full control of your budget. You can also pause and resume your leads at anytime. No set up fees or contracts. You only pay for the leads you receive and can pause the service at any time. Get discounts for higher lead volumes. Leads are sent to a maximum of two other companies. That's less companies than most of your direct leads are contacting (up to five on average). Tired of wasting your time and money on leads that don't convert to customers? The moving leads you receive from MovingPros are the highest converting leads available and we guarantee it. Try MovingPros for 30 days and if you’re not converting more leads to customers than your leads from other direct marketing campaigns we will provide you with a full refund. Join our exclusive network and grow your business. 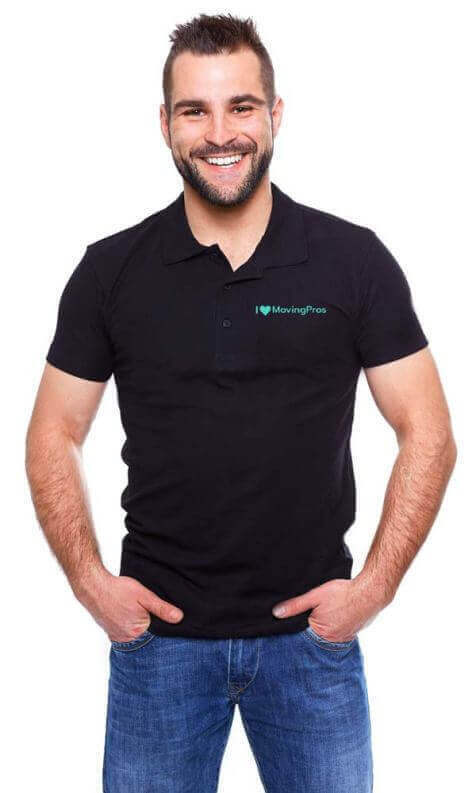 Got Some Questions About MovingPros? Find the answer to our most asked questions. How many companies will share the job request? We only allow a maximum of two other moving companies to quote on a job request. You typically compete with fewer movers than you would with direct customer leads who contact up to five movers on average. What if I already get enough leads? MovingPros is not just for moving companies that want more leads. If you’re already generating “enough” moving leads but you’re not converting some of your leads, or you’re getting leads you can’t service, then you’re wasting time and money. MovingPros can improve this for you as you’ll receive the right types of moving leads every time, from customers that have higher buyer intent (more that are ready to hire you, less “shopping around” or “curious about price”). I only want large moves. How can I make sure I only get these? Our lead filters are the most advanced in the industry. Set the exact move sizes you want, the routes you travel, and we’ll deliver the right moving leads to you every time. You can even specify if you’re booked out and we won’t send you leads on those days. Can I change my budget and number of leads? How much are the leads? At just $8.70 per lead, you won't find a more cost effective way to generate high converting moving leads. We also provide discounts for higher lead volumes, delivering even greater returns. How are the leads sent to me? Receive leads to your email, by TXT, or direct to your moving software i.e. Moveware in real-time. We can also look at custom integrations depending on what software you use, just let us know. What happens If I get a lead for a date I'm already booked out for? We have a simple calendar so you can easily update your availability so you will not receive leads on days you are already booked. What other marketing channel allows that level of control? What about invalid or duplicate leads? Invalid Leads: All leads are verified to ensure you get quality leads with real contact details. However, if an invalid lead does come through, we have a fair refund policy that ensures these are credited. Duplicate Leads: We generate leads from exclusive channels not available to moving companies so duplicate leads will be very rare. However if you do receive a lead from us that you’ve already received elsewhere, simply send us a screenshot of the lead and we will provide a credit.